As a new parent, the amount of things that we need to do feels like neverending. All of our efforts, energy, time, and basically every waking moment is dedicated to this new little bundle of joy. From diaper changing to changing your own shirt from spit-ups and baby drool, it gets busy but we also need to think about self care. Taking care of ourselves so that we can better take care of our babies. It is very easy to think that our priority is our babies so we must do everything for the baby first. But, don’t forget that you want to give the best to your child, you must feel your best first. It will make such a difference for them when you are healthier, happier, and have more energy. BY CLICKING THE LINKS AND MAKING A PURCHASE, I MIGHT BE EARNING A SMALL COMMISSION AT NO ADDITIONAL COST TO YOU. MDC GIVES 50% OF THE COMPENSATION FROM ADS AND AFFILIATES TO CHARITY. PLEASE SEE OUR FULL DISCLOSURE FOR MORE DETAILS. You can take a walk outside in the park or at a mall. Depending on how the weather is like, getting some fresh air will make you feel better. Also, it helps not to stare at the walls within your house or office. When you take a walk, not only it is taking care of your mental health, it also is a good exercise for your body. It is also good for your baby to experience seeing different things outside the home. You can take them to the mall or a store near you and explore it from their eyes. Show them different objects or toys and tell them the name and purpose. They will learn about the world around them when they take a walk with you (not literally). Try it out and see if that helps. It is also nice to take a walk and reflect on what is happening around you (if outside or at a park) or maybe you might find a good deal if you are taking a walk at a store or mall. Are you a creative person or want to express your creativity? Or you just want to try something new? Maybe you can take on a creative project. Find something small and easy to start with before challenging yourself. It’s very easy to be ambitious, but consider the limited time during naps or after the baby goes to bed at night. Think about what makes you happy, besides your baby, of course. If you can do something on a smaller scale, it’ll be a quick win and then you can slowly increase the amount of creative work you are taking on. I think this is a big one for me. Sometimes we are on social media a lot, more than we like to admit. We could be scrolling on Instagram or Pinterest while breastfeeding or waiting for the baby to wake up from their nap. It’s so easy to just scroll and we might feel unproductive at the end of the day. It is also very easy to compare ourselves with others who are living their best life. We (me included) could cut down the time that we spend on social media and focus more on ourselves. You might want to listen to a podcast or read a book that will help you be the best version of yourself. 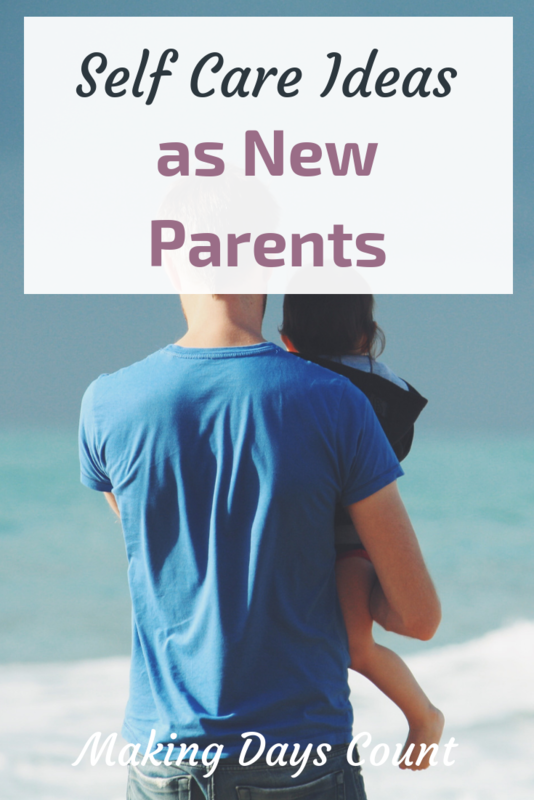 Maybe you can start writing a journal and look back on how much you grew since becoming a parent. Go somewhere with the family. Whether a road trip or to an all-inclusive resort, take a break from your routine at home. When planning a trip, you look forward to something that is special for you and the family. Prepare in advance and do your research, especially now that you have a baby. Be sure to schedule time for naps and feedings, just like at home so that both you and the baby are happy. If you want, go with other family members so that they too can help take care of the baby. You can relax when they do that. 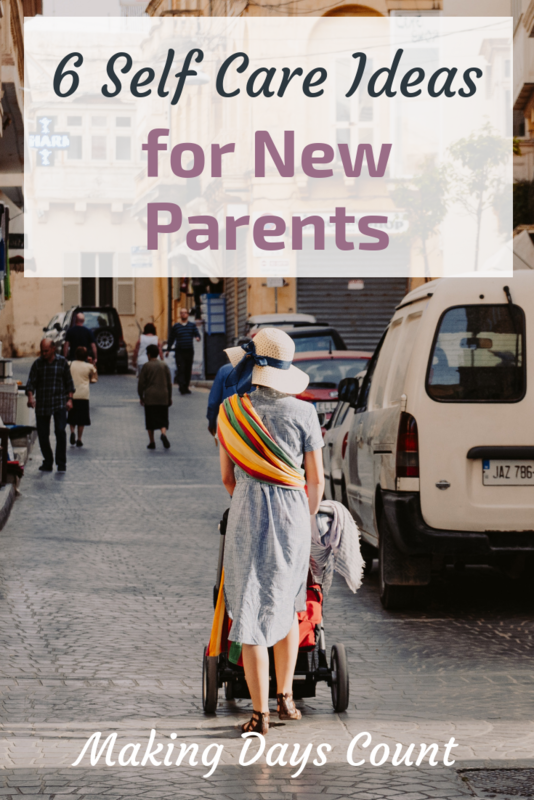 Get a parent or friend to babysit while you two go on a date. Pick an activity or restaurant that is not too far away. Timing is also very important. If your baby is exclusively breastfed, schedule the babysitting where you can be back before the next feeding session. My parents babysat baby K twice so far. The second time was much better than the first. Why? She was napping the second time and a month older. I think I was also more prepared by providing my parents with her favourite books and toys. It is so good for you and your spouse to have this time alone. Catch up on each other’s lives (besides talking about the baby). When your relationship is strong, it’ll be such a positive impact on your emotional health. The most important one of all is to rest. If your baby is sleeping and you’re exhausted, sleep. Don’t worry about the mess or the laundry. There is always tomorrow. When you have enough energy the next day, things get done quicker and you’ll feel a lot better. If you like this post, please share it. Pin this! Join the Making Days Count Family! This form collects information we will use to send you updates, special offers, and freebies. We promise not to share or sell your personal information. You may unsubscribe at any time. Yes, I agree to receive emails.